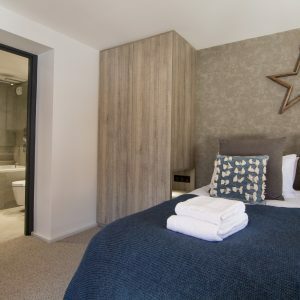 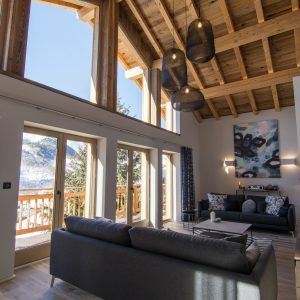 This truly stunning 5 bedroom chalet is finished at an extremely high standard for guests that enjoy a bit of luxury! 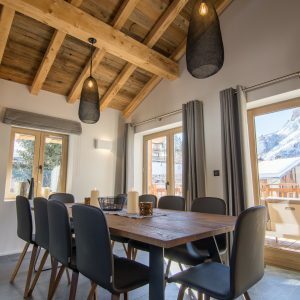 Sleeping up to 10 people in a habitable space of 195m2 Chalet Astilla is very spacious – Ideal for a large family or group of friends! 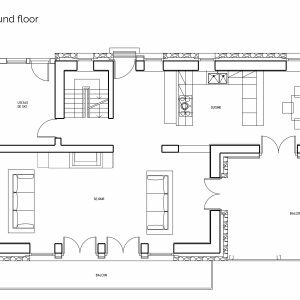 The spacious lounge has a double height vaulted ceiling and a feature three sided fireplace. 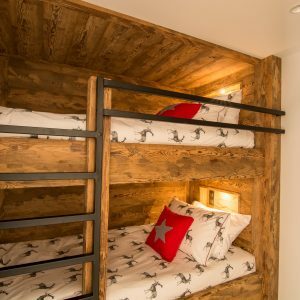 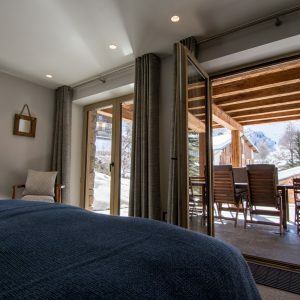 Just perfect for those lazy evenings in the chalet after a long day skiing the 3 Valley ski slopes. 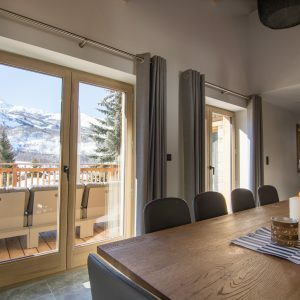 Double French doors and cathedral windows offer breathtaking views over Saint Martin and the mountains beyond! 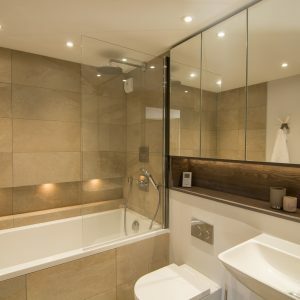 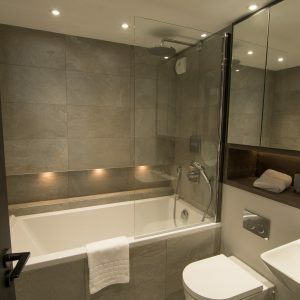 These can also be enjoyed from the 7 seater ‘Jacuzzi’ hot tub that’s located on the large sun terrace. 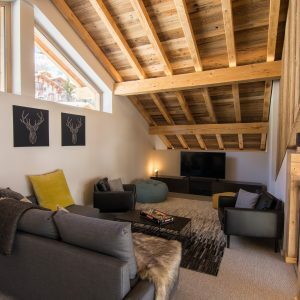 Additionally to the main lounge Chalet Astilla offers a separate TV and games lounge on the top level – ideal for children / teenagers to watch movies and play boardgames. 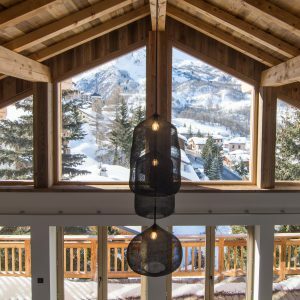 All in all, Chalet Astilla is one of our most luxurious ski chalet! 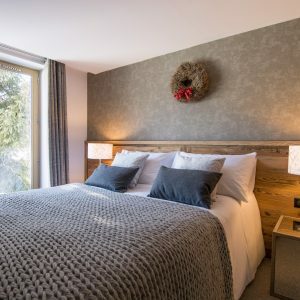 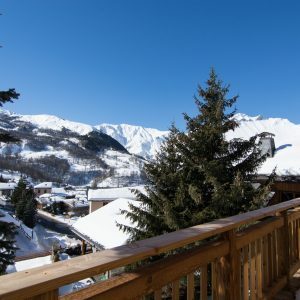 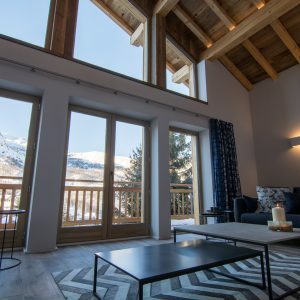 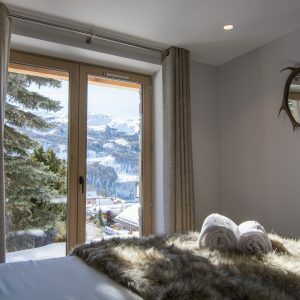 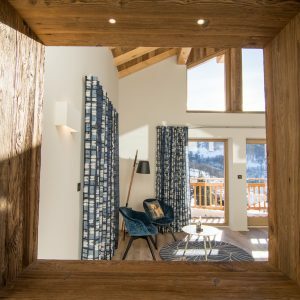 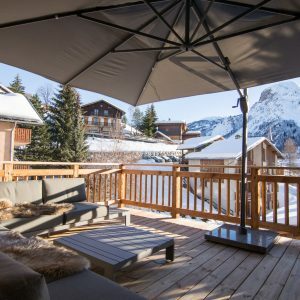 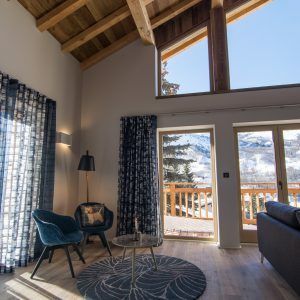 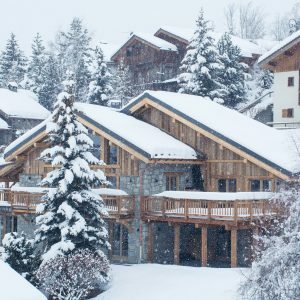 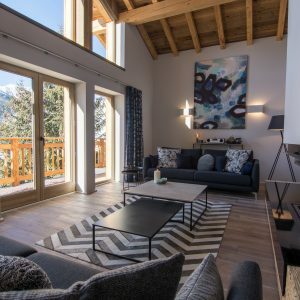 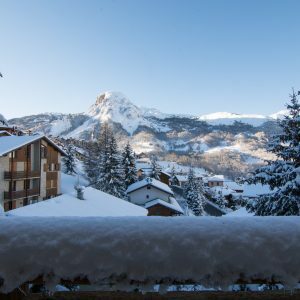 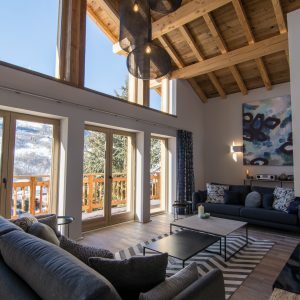 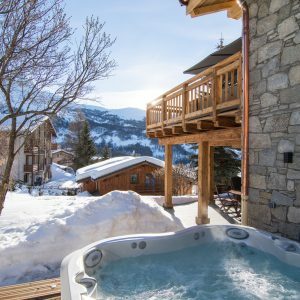 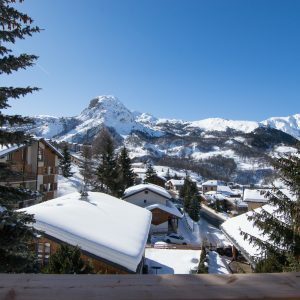 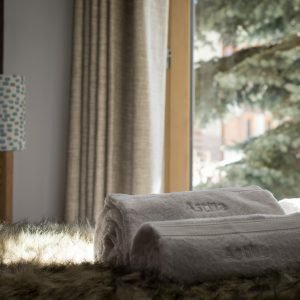 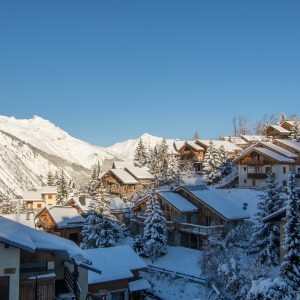 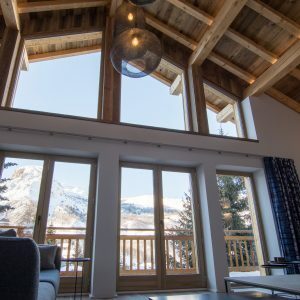 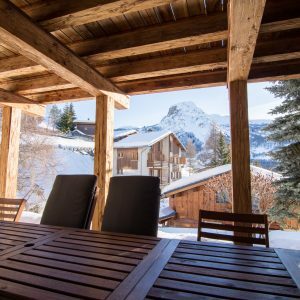 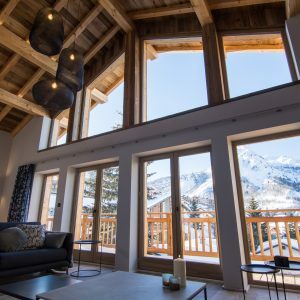 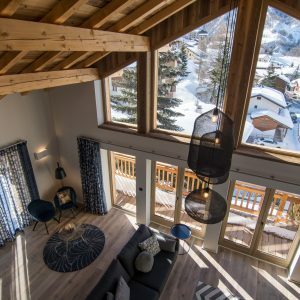 Chalet Astilla is located on a quiet residential street within less than 250 meters from the drag lift and closest ski slopes in St Martin de Belleville. 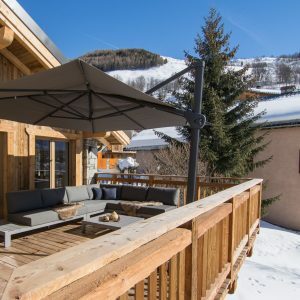 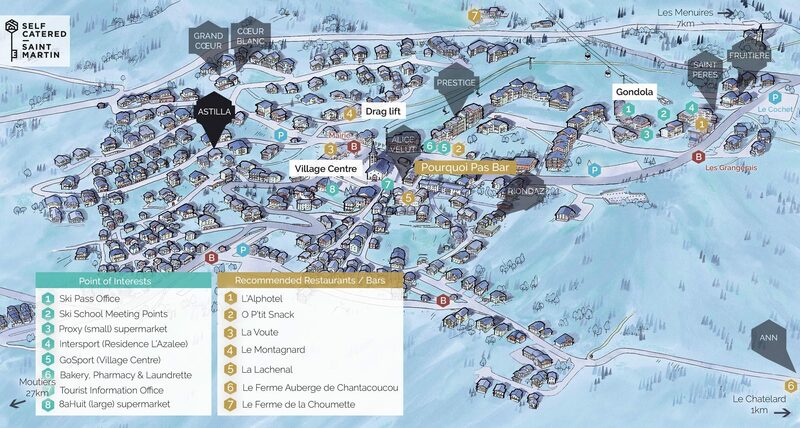 It’s a great location for a large group or family that likes the flexibility of being able to walk to the ski slopes in less than 5 minutes, however that would like to be away a little from the centre of the village. 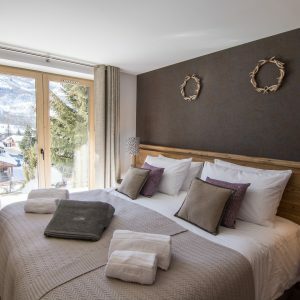 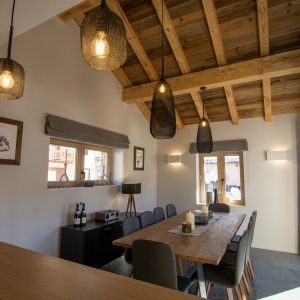 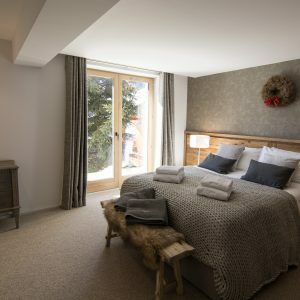 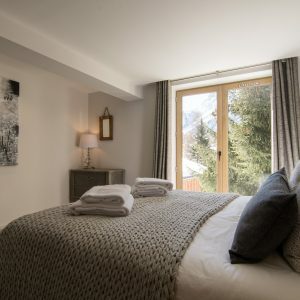 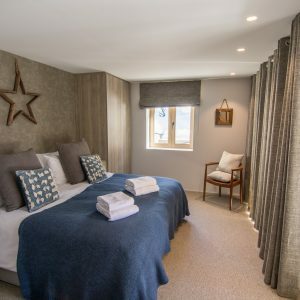 Here you can enjoy quiet surroundings and breathtaking mountain views whilst the centre of the village including all restaurants, bars and shops are just a short stroll away. 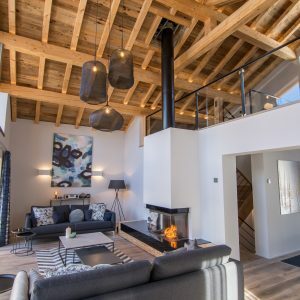 Spacious lounge with double height vaulted ceiling. 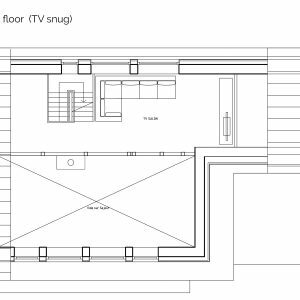 Feature three sided fireplace / wood-burning stove. 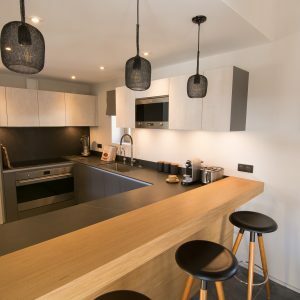 Extra width 90cm electric oven and 90cm induction hob, microwave. 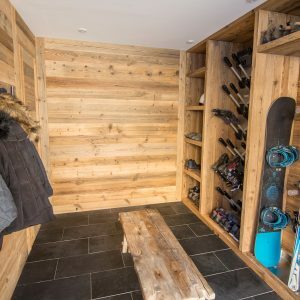 Ski storage and boot warmers for 12. 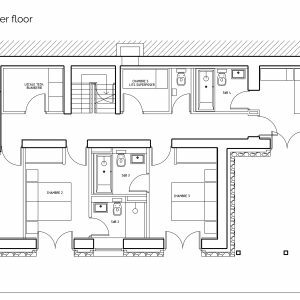 Two double bedrooms with king-size beds. 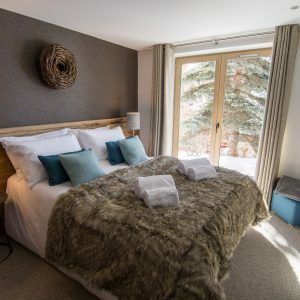 Two double bedrooms with either super-king beds or two single beds. 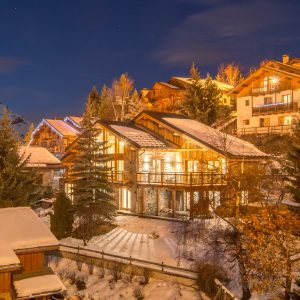 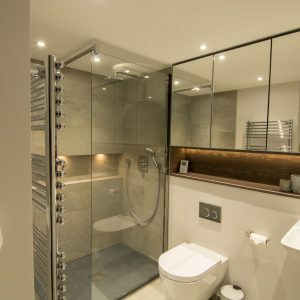 These prices allow up to 10 people in ‘Chalet Astilla’. 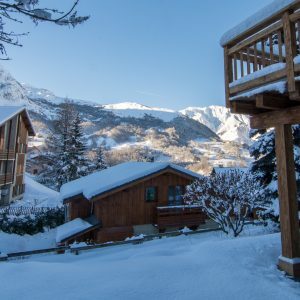 Please get in touch if you have any questions at all!